What’s included in the Credit Passport®? Nova Credit partners with the top consumer credit bureaus globally: leaders in high-quality data collection, strict local regulatory compliance, and bank-grade information security. Wherever available, the Nova Credit Passport™ returns a range of additional data including employment history, address history, bank accounts etc. The Nova Credit Passport™ returns a list of all monitoring and new account inquiries recorded by the foreign credit bureau over the previous seven years. The Nova Credit Passport™ returns extensive tradeline-level data fields for revolving and non-revolving tradelines, including the issuing financial institution, monthly repayment history, delinquencies, status, and multiple other tradeline-specific parameters. The Nova Credit Passport™ returns additional written comments and explanations supplied by the bureau and/or the consumer. The Nova Credit Passport™ returns a set of configurable attributes calculated on the account to serve for comparison to any existing credit risk model. The Nova Credit Passport™ flags high-priority marks on the account including major derogatory events, collections, bankruptcies, public records, and identity theft notices. The Nova Credit Score is a translated U.S.-equivalent credit score. It is generated by rescaling the foreign credit bureau score to U.S. market risk distribution, based on leading industry best practices. The Nova Credit Passport™ always contains the name of the applicant to whom the credit data pertains, the date the report was generated, and other identifying information. This provides an independent, third-party verification of the consumer-provided information. The credit report above is merely an extraction of a full Credit Passport®. 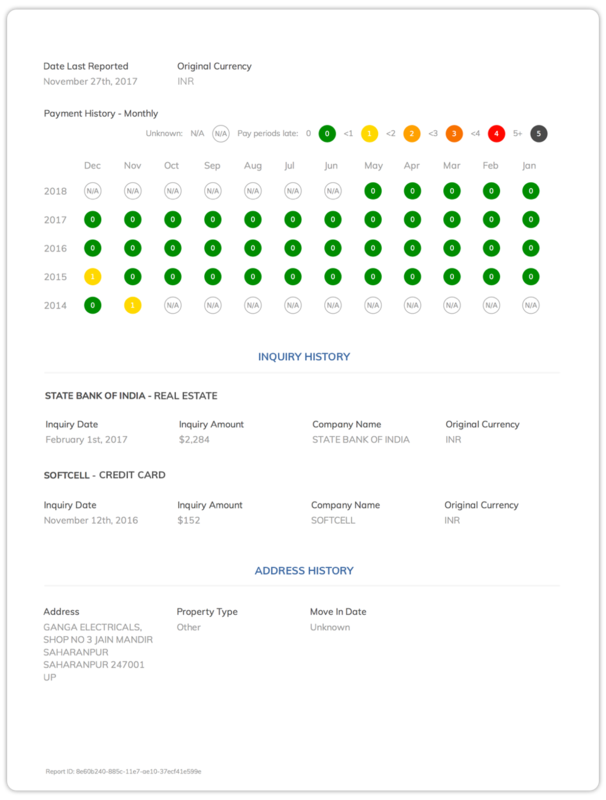 Click below to download a complete sample credit report from India. Applicants provide their information directly through NovaConnect to retrieve their international credit report. Applicants access NovaConnect directly from your application page, or you can invite them individually from your Nova Dashboard account. 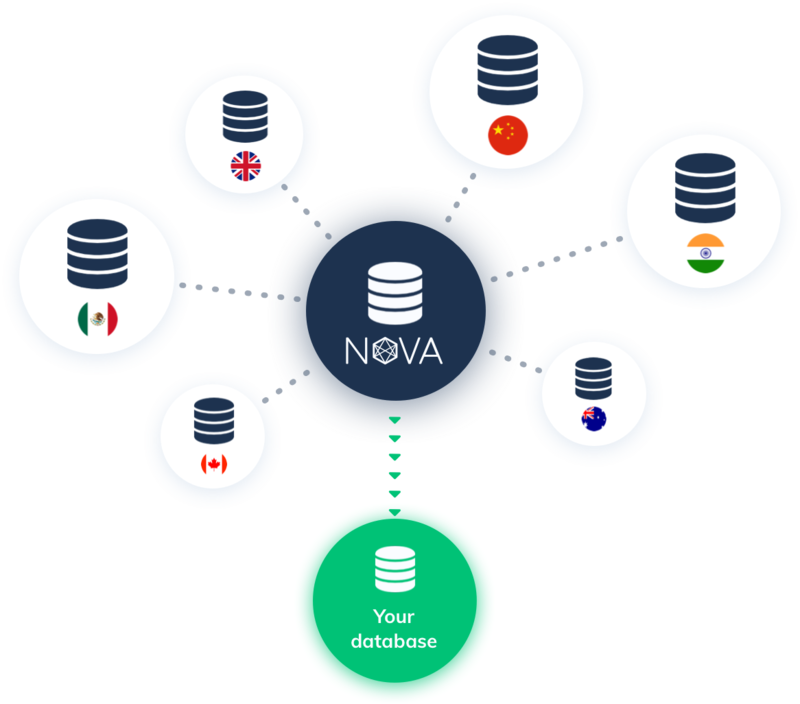 Nova Credit’s API offers a seamless integration into any decisioning system. The raw data can be instantly ingested and returned with a recommendation in real-time. 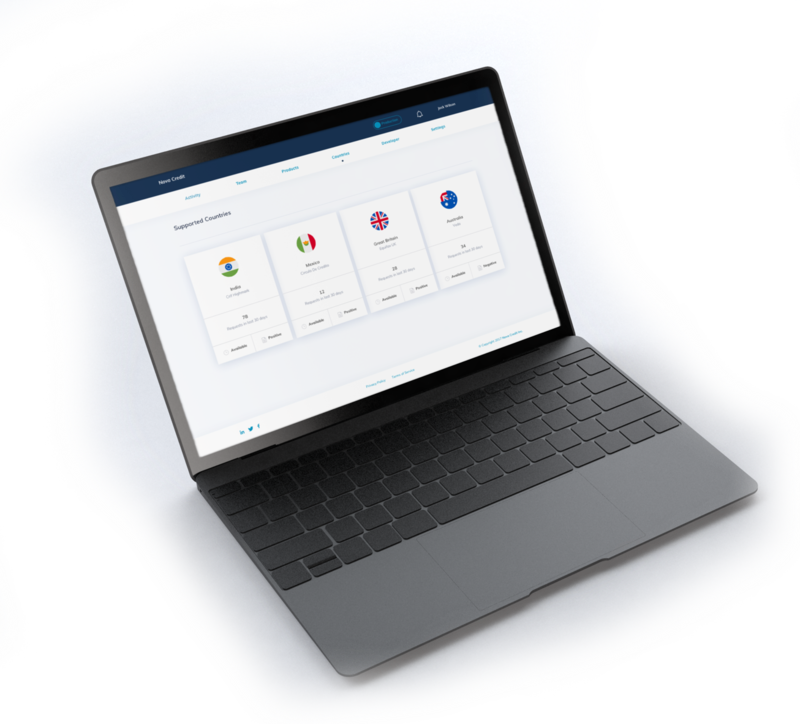 Our simple, composable API that is battle-tested for scale across lending, tenant screening and more. 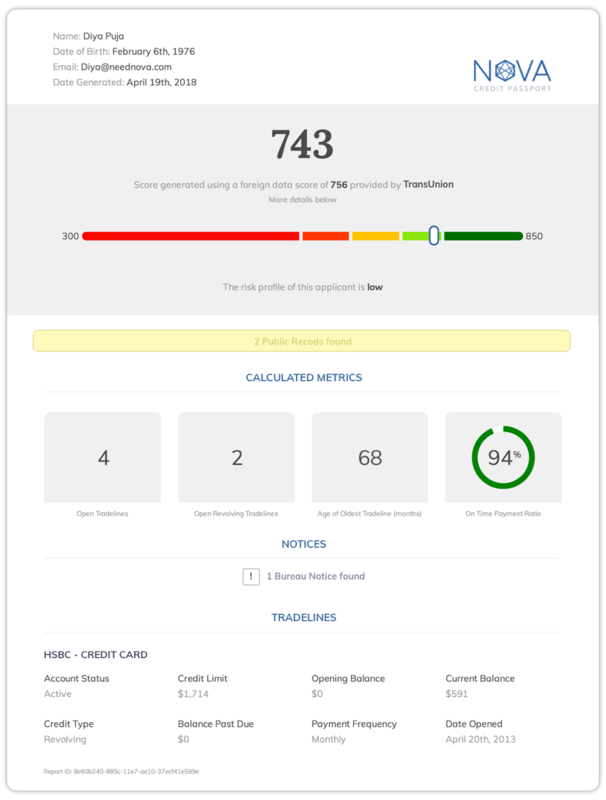 The Nova Credit dashboard is a self-serve platform to receive, process and manage the reports of international applicants. Simply log in and immediately invite applicants to complete the NovaConnect flow. Note that there is no technical integration required; this is a light-touch model for Nova Credit to deliver business value within minutes. Data privacy, information security, and compliance are at the heart of everything we do at Nova Credit – from our hiring decisions to our systems infrastructure and architecture to our internal governance policies.